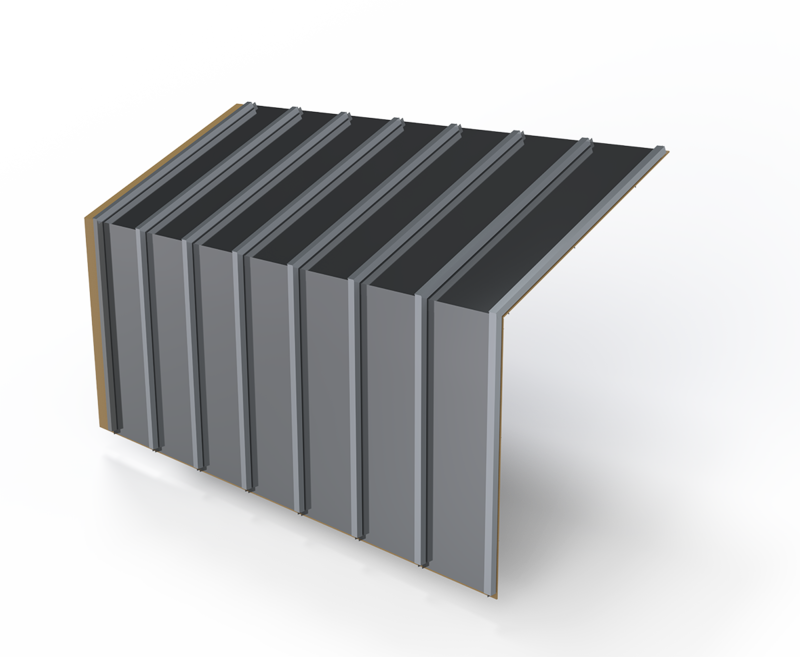 The Snap Batten panel is a flexible designed roofing, wall and siding panel that allows for different widths to be applied together in a vertical application. This flexibility allows the Snap Batten panel to be used in a variegated pattern, using a combination of varying coverage panels (ex: 12", 24", 12" widths) to create a unique look. 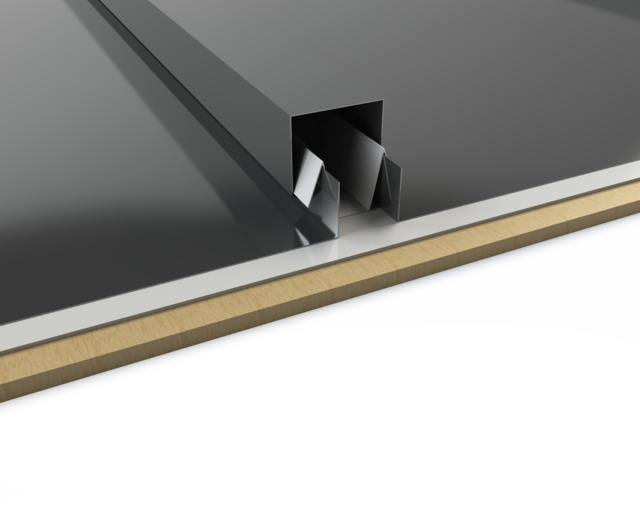 For added aesthetics the Snap Batten panel is uniquely able to create a waterfall effect when applied as a roofing and wall panel. By aligning the ribs, a smooth transition is created for a modern look. Clip System: Fixed clip system allows for expansion and contraction of panels. Roof Coverage: 12", 18", or 24"
Wall Coverage: Custom Widths from 6" - 24"